As 2018 comes to a close, we would like to take an opportunity to reflect on what we have accomplished, give thanks for those who have supported our organization and prepare for what is to come in the next year. We are happy to see the continuation of programs we have put in place and the foundation being created for new programs. 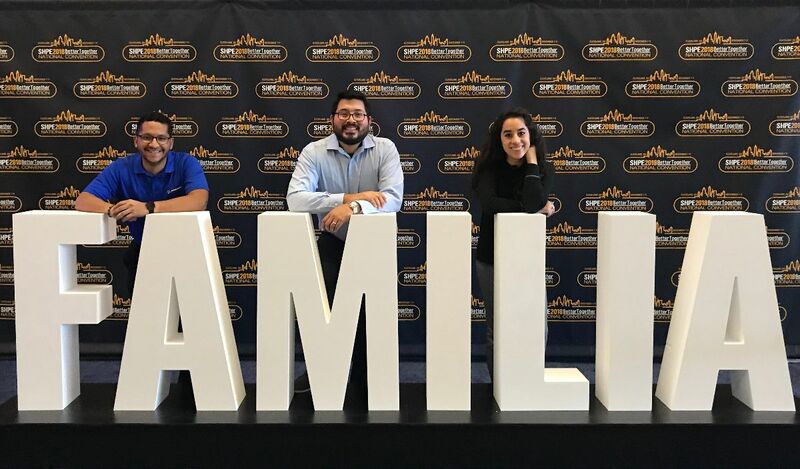 Four of our board members were able to attend SHPE National Conference in Cleveland, Ohio this year, which was the largest conference to date. 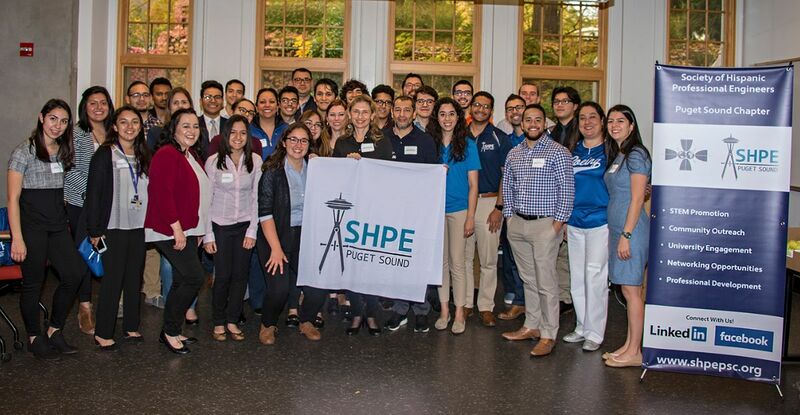 There is still much work to be done, but we were encouraged to see the support shown from companies from around the country and their willingness to support the SHPE mission. Since the start of our fiscal year in June, the University Outreach program has been busy. We grew our mentorship program to 17 student-mentor pairs, held mock interviews, a mock career fair and resume reviews for 19 university students, and aided in sending five University of Washington students to SHPE National Conference this year, including two of our Puget Sound SHPE Scholars. To our volunteers who give of their time during these events, we sincerely appreciate your support and the joy with which you serve. We look forward to growing our professional development program in the coming year and continuing to support our university students at the UW, Everett Community College and Seattle U.
Warmest wishes during the holiday season and a very happy New Year. We will see you in 2019! Students and Professionals at the Conference Crash Course Event held on October 27th, 2018. Christian, Joe and Leann at SHPE National Conference in Cleveland, Ohio.